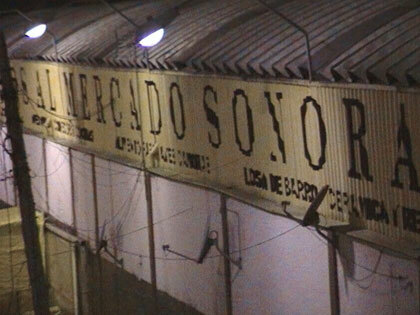 "At 4am, while so-called mexico city was blanketed by police, pollution, and restless capitalism, 320 birds and 3 foxes were liberated from Mercado Sonora, a crowded distribution point of nonhuman creatures kidnapped from their homes and crammed into horrid conditions of human negligence. All the human-labeled bird species that spread their wings, such as Amazilia beryllina, Aquila chrysaetos, and Pharomachrus Mocinno, are found within the bioregions of 'mexico'; and so, we are hoping, they have great chance of returning to their perch, or at least finding a viable new one where they can rest and continue to exercise their colorful existence. The foxes were tended to by a comrade and transported to their bioregions where, once released, began to frolick once again in rejuvenation. While we cannot help them all at once nor control the fate of all those libertated, we can break their chains, alleviate their suffering, and offer a space to breathe and escape into remaining habitat. Unfortunatelty, there remain many cages, many lives, stacked and suffocated. For this reason, we send out this note, this shout into the fibers of civilization. We all have the choice, the ability, to defend life (human and nonhuman). Everyday we choose how we interact with our surroundings. Everyday there is a creature trembling in the corner of a cage. Everyday a sprout is pushing against concrete. Let us not forget our potential to act upon our values. Whether it is spreading stories and inspiration, nourishing seeds, or slipping on a mask and quietly opening doors... etc... we ALL have a role in the fight for liberation. Liberación Animal Transfronteriza / Libération Animale Transfrontière / Transborder Animal Liberation"